A world exists in the midst of our own that many people are not aware of. It’s a world none of us want to live in, but it’s not so bad to visit. I’m talking about nursing homes, assisted living facilities, memory care centers, whatever you want to call them. Buildings with old people in wheelchairs and walkers, staff in matching shirts, institutional meals and alarms on the doors. The kinds of places where old people land when they can’t stay at home anymore–if they can afford them. Long before I had family living in these places, I sang in them with the Valley Chorale in California. We didn’t pay much attention to the residents back then. We just wanted to know where to dress, where to set up, and where to plug in our amps. We performed in our silky dresses and jeweled shoes to a sea of white hair and glasses, absorbed their applause, shook a few hands, changed clothes and went out to dinner. It’s different when someone you love lives there. I started frequenting nursing homes when Grandpa Fagalde started living in one after a series of strokes. He was 94, and it was a shock the first time I saw him in a wheelchair, saying things that didn’t quite make sense. It was easier to sit at the piano and sing than to sit with him for the hour or two I visited at lunchtime or after work. But I came regularly and gradually became part of the family there. I greeted the staff and the other residents. They grabbed for my hands and sought my attention. Toward the end, my grandfather didn’t know who I was. He knew only that I played music and that I would listen to him for a while. It was heartbreaking to see my grandfather this way, but while I was there, I could forget about my job as a newspaper editor, the errands I need to do on the way home, the teenage stepson who was driving me crazy, or the odd noise coming from under the hood of my car. It was just these old people in their limited world. I never guessed that fifteen years later I would be visiting my husband Fred in a nursing home. He had Alzheimer’s Disease. 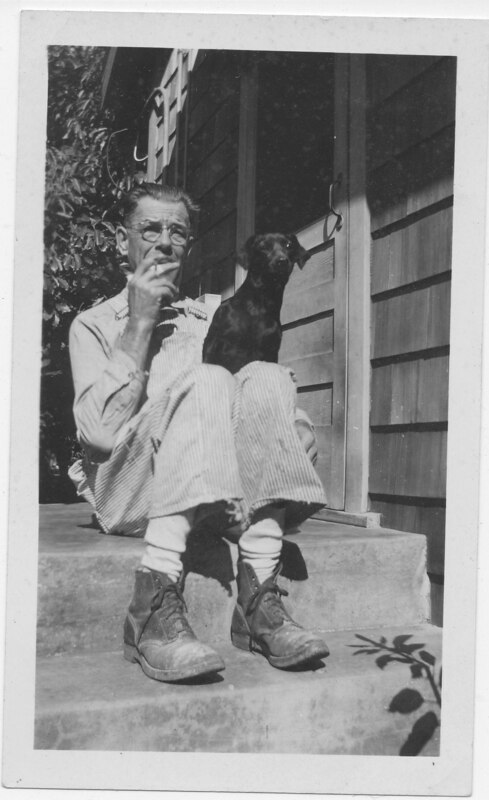 He stayed in four different places before he died, but the longest was at Timberwood Court in Albany, Oregon, 70 miles from where I lived. Occasionally I played music there, too, but mostly I hung out with Fred and the gang. We watched TV, ate ice cream, batted a big rubber ball around, sang with visiting musicians, and went on field trips in the little bus. Some days, I would sit on the couch resting my head on my husband’s shoulder, even falling asleep sometimes. I got to know the names of all the other residents and the family members who visited. I knew the staff. I would walk into the offices to demand things I needed for Fred—a haircut, his lost shoes, a doctor’s appointment. I was part of the Timberwood family. Yes, the residents had dementia. They screamed, they fought, they got sick and died. Some constantly begged to go home. But most made sense at least part of the time, and day after day, it was a beautifully furnished oasis from the rest of the world, unaffected by winter storms, summer heat, or the news on TV. Beyond the coded-lock door, we were all safe and within shouting distance of an aide who would take care of everything. Fred soon forgot he had ever lived anywhere else. When his physical health failed, he moved to another facility that was not pretty at all. It was much more like a hospital. The hiatus was over. This year, I found myself hanging out at another nursing home with my father. He wanted only to be back at his own house taking care of his own stuff, but I fell easily into the nursing home rhythm at Somerset. Here’s the living room, the dining room, the courtyard. Here are the aides in matching shirts. Here’s the office. Write Dad’s name on his clothes, hang them in the closet, make sure he has his meds. Get everything set up, then sit with him. Talk, listen, be. Meet the other family members doing the same thing. Janet, the daughter of one of Dad’s housemates, arrives every day at 11 a.m. and leaves at 4 p.m. It’s like her job. She feels enough at home to go into the kitchen and help herself to coffee and cookies. She joins in the activities. Her sister handles the bills and such, but Janet is the one who has become part of the Somerset family. It was different for me this time because I live 700 miles away. I visited in concentrated doses. Three days, a week, two weeks. But I got to know and care about the other residents and staff. I liked walking in to a chorus of “Hi, Sue.” I liked that there was someone waiting for me, even on days when my father was El Groucho, as my mother used to call him. While I was at Somerset, I could do nothing about work, home repairs, the needy dog or the emails calling for my attention. All I had to do was sit in the courtyard or the living room talking to my father. When it was time to leave, time to face traffic and take care of business, part of me didn’t want to go. But of course I had to. These places are only pleasant to hang out in when you have the option of leaving. I didn’t have to eat their food, follow their schedule, or wait an hour for help going to the bathroom. I could walk out on my two strong legs whenever I wanted to. That’s the difference. For the residents, it’s a pretty prison which is eating up their life savings. Nursing homes are a business where they charge a fortune and often give less than wonderful care. We can only hope our loved ones end up in the good ones. But sometimes since Dad went home, I find myself missing those people and those places where I could just sit and be. Also, I miss the Somerset dog, a white fur ball named Sonny. When it’s my turn to move in, I hope I can be one of the ones who accept it with grace and smiles. I hope I still have enough working brain cells to make the best of it. Last week didn’t turn out quite as expected, especially for my dad. He fell and broke his leg above the knee. It was a bad break, requiring surgery and an extended stay in a care home after the hospital. He has survived heart surgery and a broken hip in recent years, and he will survive this, but for a person one month shy of 95, this is not good. My brother rushed over from his mountaintop home near Yosemite while I hit the road from Oregon. I didn’t know how long I would be gone or how well Dad would recover, but when these things happen, you do the best you can to tie up loose ends and go. Winter lasting forever up here, the Siskyous were still loaded with snow, so I took the coast route down. After nine days, I returned up I-5. It’s an all-too-familiar 1,400-mile round trip commute. But I took pictures of some things I thought it would be fun to share here. This homemade camper at a coastal rest stop caught my fancy. I saw the peanut mobile way back near San Jose and was amazed when it pulled up at the Black Bear restaurant in Willows where I stopped for lunch. Dinner on my last night on the road was big enough for three dinners. Poor George’s in Yreka, where I had the massive pancakes, ham and eggs, is an old-time diner. I don’t do a lot of selfies but here I am on the coast highway. Dad seeming relatively stable, I came home to get back to work, Annie, and taking care of my own house, but I will be going back soon, I’m sure. It’s not easy having your heart torn between two states. Meanwhile, please keep my father, Ed Fagalde, in your prayers. Last week in Newport, it was “Dine Out for Samaritan House” day. Once a month, a local restaurant offers a percentage of its proceeds to support the local homeless shelter. That shelter was founded and is maintained by people I know, mostly from my church. Years ago, I even did a story about it for the local newspaper. This month’s restaurant was Nana’s Irish Pub in Nye Beach. I had a hankering to try bangers and mash, so I invited my friend Pat to join me for dinner after her shift at Samaritan House. When I walked in the door and paused by the bar to scan the crowded tables, I realized half the people in there were people I knew. It soon turned into a party, complete with beer and Irish music in the background. We talked, gossiped about our priest, and compared Irish dishes. I don’t have a Celtic palate—more Mexican and Italian—but my bangers and mash were good and Pat nearly swooned over her bread pudding. I had already been to Nana’s the previous week for the church ladies’ monthly lunch. Best Reuben sandwich anywhere. The same thing happens at Georgie’s Beachside Grill every Sunday when friends fill the tables after church. Party time. That simply does not happen back in San Jose. People commune with their phones. * I go to the hospital for minor surgery. The anesthesiologist is a music friend. The nurse goes to my church. All of my friends have the same doctor. * When I visit one friend at the local rehab facility, another friend is just down the hall, and I pass yet another just leaving. * When I shop at Fred Meyer, I meet at least one and more likely a half dozen friends as I peruse the vegetables and stock up on dog food. * I go to see a play. I know the guy handing out programs and most of the cast members. One is my hair stylist; another is a writer. And I know the performing arts center so well it feels like home. I have been on stage, backstage, in the dressing rooms, and in every section of the seating area. I have sung in the lobby and in both theaters. Unlike the enormous airport-like facilities in big cities, there is no way I can get lost here. * When Annie and I go hiking, we wave at the drivers of every vehicle that passes us, and they wave back. * I not only know where everything is at the J.C. Market, I know what the J and C stand for: Jim and Cleo. * My neighbors have promised to take care of me should the mega-earthquake and tsunami come. I know they will. They have already helped me plenty, feeding Annie when I go away, fixing my gutters, power-washing my house, and sharing halibut and elk from their fishing and hunting trips. My dog Annie and their dog Harley are in love. * My mortgage for a four-bedroom house on a massive lot near the beach is a third of what people are paying to rent apartments in San Jose. * I get paid to play piano and sing solos at church, even though I don’t have a music degree. * We don’t have black widow spiders, yellow jackets, poisonous snakes, or poison oak. * I can run four or five different errands in a half hour because everything is close, and there are no crowds. I can even renew my driver’s license in a half hour. * We complain about the traffic if we have to wait for three cars to pass. *“Nature” is right outside my door. I don’t have to drive for hours to get to it. * I am still awed by the beauty I see in every direction. Not concrete and cars, but the ocean, hills, forests, and wildflowers. Some of my relatives don’t understand why I stay here. Sometimes I do want to go home. I miss my family so bad it hurts, and the rain gets tiresome when it comes day after day. I’m not fond of ice and snow. It gets frustrating when I have to drive for hours to the airport or major stores. What I wouldn’t give for an Olive Garden restaurant. And I’d kill for an electric or gas heating system to replace the pellet stove. But I don’t miss the traffic, the smog, or the crowds in which everyone is anonymous. My father doesn’t even know most of his neighbors. When he goes out, he almost never meets anyone he knows, and no one gives way for an old man with a cane. We born-again Oregonians don’t want lots more people to move here. With luck, the weather and the lack of jobs will keep out the crowds. Maybe I can claim some rights to Oregon soil. 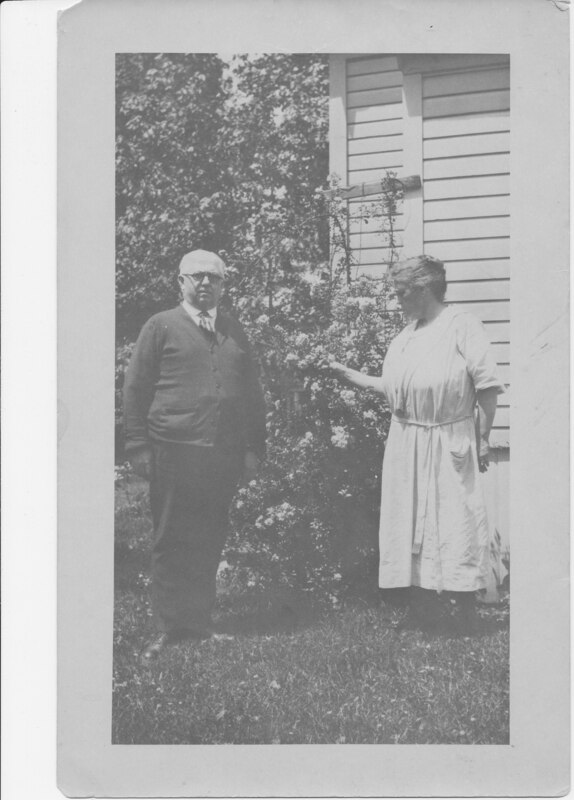 My Fagalde great grandparents settled in Oregon back in the 1800s. If only I could visit them on their ranch and talk to them. This summer I will have been here 20 years. Fred and I lived together on the Oregon coast longer than we lived together in San Jose, and I have stayed five years since he passed away. Someday I may have to go back to California to help my dad or deal with his house. Maybe I will need the kind of health care I can’t get here. But not today. This is where I live. Like the dead hydrangea I have spent the past week trying to dig out of the ground, I have put down thick roots that would be nearly impossible to cut. P.S. Somebody help me get this stupid plant out of the ground. I have company coming this week, and it looks awful. Anybody got a chain saw? It was a spring day like today, blue sky dotted with white clouds, a slight breeze, everything in bloom, as Fred and I hustled to prepare for our wedding. The second marriage for both of us, this was a do-it-ourselves affair. We were already living together in a house on the next block from my parents’ house. I had cooked raviolis the night before for our rehearsal dinner. We were having the reception in our back yard. I put on an embroidered dress from Mexico while Fred donned a Mexican wedding shirt. No tuxes, no ties. My bridesmaids wore knee-length ruby red dresses they could use again. Instead of hiring a photographer to follow us around, we gave our friends rolls of film and told them to take lots of pictures. 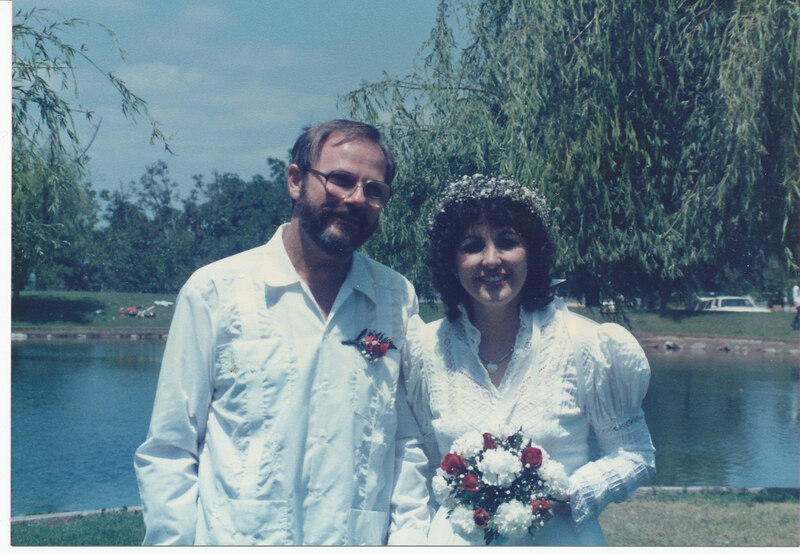 Our wedding took place 30 years ago today in an amphitheater beside a pond at Evergreen Community College in San Jose, California. As Rev. Carl Stocking led us through our vows, ducks quacked and a fishing competition took place nearby. We walked in to Pachelbel’s Cannon playing on the boom box. My father escorted me down the “aisle” for the second time, hoping this marriage would stick. While I felt faint and had an uneasy stomach during my first wedding, this time I felt only joy, which I saw mirrored in Fred’s face as we pledged to our lives to each other and came together in one of those famous Fred hugs. Afterward, we adjourned to our yard, where Fred and my dad had set up tables and chairs borrowed from the recreation department where he worked, with blue plastic canopies from Mel Cotton’s sporting goods shop for shade. Our friend Pat Silva had prepared a Portuguese feast for us, with pork, beans, fruit, salads and more. We rolled my piano onto the patio, and Scotty Wright, our favorite jazz musician, provided music. Dancing, feasting, drinking, talk and laughter ensued as two families, Lick and Fagalde, became one. Recreation workers, journalists, Fred’s kids, my cousins, and so many more partied till sunset. It was the best wedding ever. Looking at the pictures, it’s easy to feel sad. So many of those people are gone now. Fred died four years ago. On our 25th wedding anniversary, he was living in a nursing home and didn’t know who I was. Horrible. But I need to cling to the good memories of that day and the many anniversaries that followed. In addition to working for the city of San Jose, Fred was a licensed tax preparer. Everything went on hold from January through April, but come May, we would take a vacation. We traveled far and wide, celebrating anniversaries in Canada, Hawaii, Costa Rica, cruising the Mississippi River on the Delta Queen and many other places. Each year, we would remember this day and pledge our love again. It was a good marriage from beginning to end. Thank you, Fred. Thank you everyone who was there. Cheers! This weekend, still babying my sprained ankle, I took a journey into the past. I spent several hours scanning old slides and photos that have been piled up in boxes and envelopes for ages. The inheritor of my husband Fred’s family archives, I have sent boxes of pictures to his brother and his kids, but there were many photos I wanted to keep copies of for myself. Plus, having been a photographer most of my life, I have tons of my own pictures to digitize. The weekend’s photos were a blend of my own life and Fred’s. 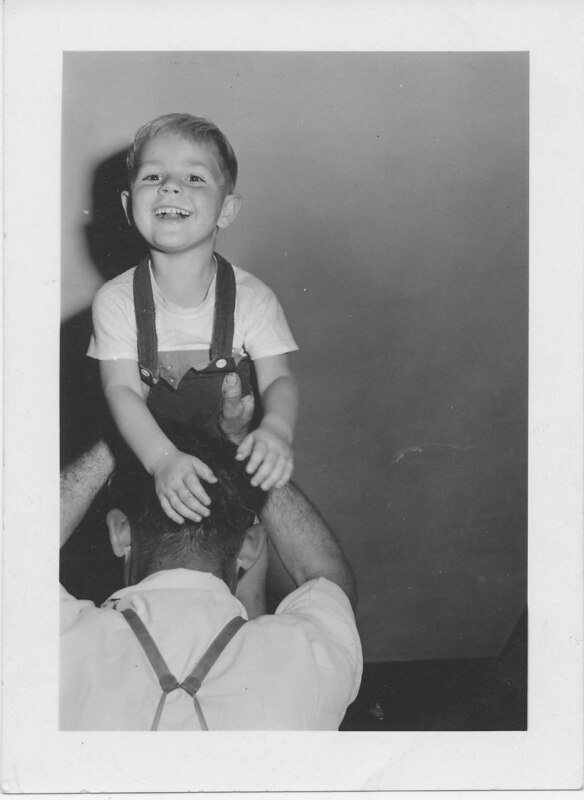 Many of the pictures were old black and whites of Fred as a baby and little boy. Quite a few showed his parents, Al and Helen Lick, when they were young. I found pictures of Fred’s mother’s parents and THEIR parents, the Waltons and the Townes, below. I never met those people, but as the pictures went farther and farther back in time, I got more and more excited. Fred’s mother as a child, her mother and her mother’s mother. Her father, bottom right. I don ’t even know his first name, but I want to know his story. The settings took me back to my 1950s childhood and farther back into the years just before I was born. Look at those old cars, the baggy pants, the braided hairdos. Imagine living in that house. I loved looking at how Fred changed from that baby to that cute little boy (upper right) to that gawky teen to that handsome Navy man to my wonderful bearded husband. I could see the arc of his whole life in these pictures. There were others, photos from my own life. One showed the whole family that I used to have when I was married to my first husband. There I was with my long hair, minimal makeup and big glasses, surrounded by the Fagaldes and Barnards. Me, in love with a man who was not Fred—before the divorce. Other pictures showed Fred and his kids, my parents, my brother, my cousins, my grandparents. School pictures, holidays, trips. I can only look at so many of my own pictures before sadness and loss overwhelm me. So many of my loved ones have died; so many of the living are far away. Maybe that’s why it’s so fun looking at Fred’s family photos. I never met most of these people. I didn’t know Fred and his brothers when they were kids. It’s like piecing together a story that goes back through nearly a century. Some of the photos are turning brown. Some are scratched, torn or bent, but each one captures a moment, opening the shutters so I can peek in. I’m grateful for Fred’s mother writing information on the back of many photos. Too many of mine say nothing or just offer first names. Other people might not know who they are. Preserving old photos is an art. Maybe all of your pictures are stored on your computer or phone, but most of us still have some actual photographs hanging around. I know I could do a better job of preserving them. Maybe you could, too. The following links offer some advice on what to do with them.